The Samsung Gear S finally has an official launch date with the Korean company confirming that the 3G-enabled smartwatch will go on sale both in the US and the UK on 7 November. In the UK, Samsung's flagship smartwatch will be available in Samsung Experience Stores, on the Samsung online store and through O2. Its RRP is £329 but you'll knock money off of the up-front cost by signing up for a SIM contract with O2. In the States the price depends on what carrier you decide to opt for; it seems that due to the SIM-slot skills of the Gear S, the smartwatch is being treated like a smartphone by the networks, with various contract deals on offer. T-Mobile, Sprint and AT&T have all confirmed they will be stocking the Gear S.
This categorising isn't a surprise. Our contact at Samsung confirmed that you would need a separate SIM card plan in order to take advantage of the untethered call and message features. So while the Gear S can operate, like the Gear 2 smartwatch, as a companion device to your Samsung smartphone using Bluetooth – for message updates, Bluetooth calling features and the like – you will need a whole new plan if you want to use your new smartwatch without relying on your phone. Samsung’s new smartwatch is certainly a head-turner with a 2-inch display that makes use of the same curved Super AMOLED tech first found on the Samsung Gear Fit. The 360 x 480 resolution is one of the best out there, and keeps maintains Samsung’s dominance in the display department. 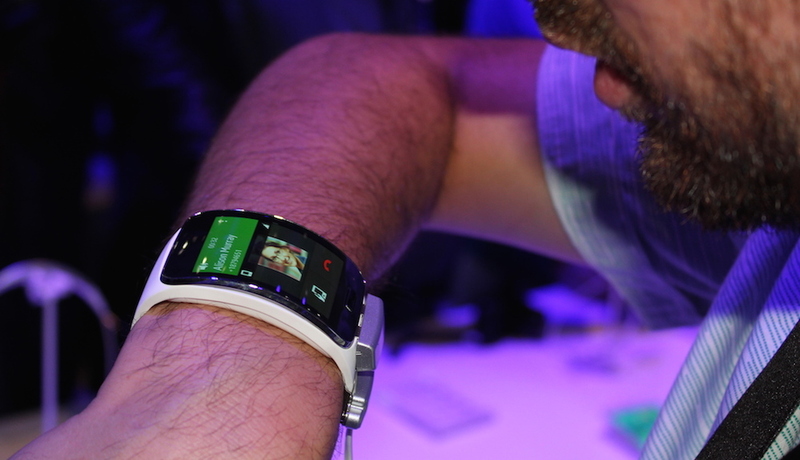 Elsewhere, the Samsung Gear S falls in line with Samsung’s existing smartwatches. There’s a 1GHz processor with 512MB of RAM, 4GB of storage, and unsurprisingly it runs Samsung’s proprietary operating system Tizen. Check out our hands-on with the Gear S, we'll be publishing our full review soon.